-1017 Fortune Road in Youngsville. -City Hall, Broadview Drive by the community center and Deer Meadow subdivision in Broussard. -City of Scott Maintenance building at 116 Lions Club Road beginning at 9 a.m. Thursday. Although the sites are “self-bagging,” LCG employees are available at the three locations to assist the public until dark. Residents will still have access to the three sites even after dark. For each of the sites, sand and bags are provided to Lafayette Parish residents free, at no charge, but residents will need to supply their own manpower and shovel. 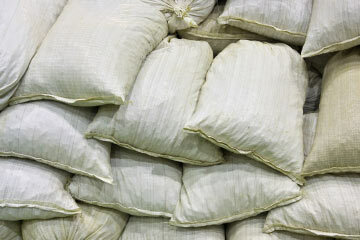 Residents are asked to limit their sandbags to four bags per exterior door, with a maximum of 20 sandbags per household. from the North Street side. provided, and residents should be prepared to fill their own sandbags at this location. In regards to the Acadian Ballpark sandbag location, the city is asking residentts to please enter on Landry Drive and exit on Halphen Street for flow of traffic. -Sandbags will be available at the Public Works Department beginning Thursday from 7:30 a.m. to 3 p.m. until further notice. You must present a valid driver’s license. Six sandbags will be issued per driver’s license. -Acadia Parish Police Jury, from 6:30 a.m. to 5 p.m. through Thursday, and 6:30 a.m. to noon on Friday. Limit to 12 bags per household in rural areas only — you must provide a driver’s license. To make an appointment, call 337-788-8861. -Eunice- Pick up will be starting at 1PM on August 25, 2017 until further notice. Location will be at the Northwest Community Center Pavilion located at 651 Samuel Dr. Eunice, La 70535. The site is a “fill your own” and residents will need to bring a shovel. -Iota Barn, 540 Kennedy Ave.
-City of Crowley, 220 Jack Mitchell Drive, from 7 a.m. to 3 p.m. You must have a driver’s license showing a Crowley address. Limit is six bags per household. -Village of Morse, at 215 S. Jules Ave., 1-4 p.m. Limit to four bags per household. Bring shovels. The St. Landry Parish Government Public Works will have the Yambilee Building sandbag operation location at 1939 West Landry St. in Opelousas open today and over the weekend from 7:30 a.m. until 8:00 p.m. for those parish residents needing sandbags. This will be a fill your own site, so residents are asked to bring their own shovel and be prepared to fill their own bags. Sand and bags will be available. The City of Franklin will open up their sandbag location in front of the Public Works Complex located at 1300 Iberia Street at 1pm today. Residents will have to fill their own bags and are being advised to bring a shovel. If the public has questions, call Public Works at 337-828-6348 or City Hall at 337-828-6305, 337-828-6303, or 337-828-6310. Sand bags will be available in Scott Friday, August 25, 2017 until 4pm. On Saturday, August 26, 2017 and Sunday, August 27, 2017 a sand pile in front of the maintenance will be available to bag your own, please bring your own shovel. Limit 3 per door. The City of Scott will resume handing out sand bags at 8AM on Monday, August 28, 2017. A valid ID with an address in the Scott City limits and/or a utility bill from the City of Scott must be shown. The City of Ville Platte is advising their residents that their sandbag location at the City Barn, 809 Hickory St., will be open today from 1pm-3pm. The location will re-open tomorrow at 7AM and will remain open until 3PM. Residents will have to fill their own bags and are being advised to bring a shovel. Please bring a shovel and be prepared to fill your own sandbags. Sandbags for Abbeville city residents is available at the City Barn located at 1811 Godchaux. Delivery is also available for the elderly and disabled; proof of residence is required.